Emile's business concerns and deteriorating health prevented him from pursuing improved designs. However, his son Henry, was also a superb engineer and wanted to continue his father's work. 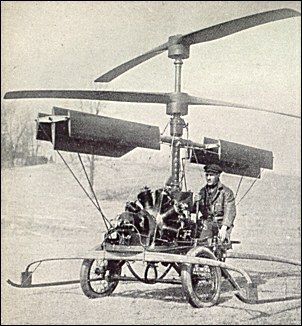 In 1919, after a short stint in the Army Air Service as an aerial photographer, Henry moved to Washington D.C. to construct a helicopter under his father's guidance. Henry's first effort was a coaxial design mounted on a two-wheeled test stand. He soon transformed this model into a manned version, powered by an 80 hp Le Rhône engine with two co-axial propellers with vanes to vector the downwash for pitch control. 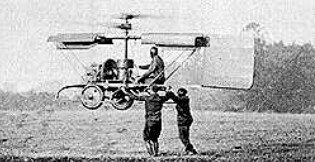 It was able to lift Henry, and make the transition from a hover to forward flight, but its control was so poor that assistants running alongside had to steady it. Henry decided to take a new approach and adapt his experience with conventional airplanes to the control problem.